Keywords, keywords, and more keywords. When you hear this word from an SEO company or you are doing your own SEO work, it is important to make sure that it is done right with the proper goals in mind. I was taught completely wrong, but there’s a learning step for everyone, right? This was back when meta-keywords mattered, and you could stuff the meta-keywords with hundreds upon hundreds of keywords both general and long-tailed. With Google algorithm updates to improve search results, the process of SEO has become much more complicated and difficult. It used to be as simple as optimize the meta-tags and let the page start ranking on its own, which I like to call a one night stand with a landing page. That is no longer the case. SEO has turned into an ongoing process for month after month development, requiring nurturing. Wake up! We’re now dating search engine optimization. When working on your keyword list, resources and conversion value are the two main components which matter in defining your keyword goals. Do you have the resources to develop strong content, on-site landing pages, and internal link structures to compete for high competition keywords? If you have the resources then investing in highly competitive keywords with high relevancy to your business is a worthwhile goal. If you have very little resources, capitalizing on low competition keywords with less search volume may be a more suitable goal. Resources will determine how many goals you can have, as well as how much you can continue to develop new goals. Expect for clients to come in the door and be determined to rank for a list of 200 keywords, these clients need proper direction for their ranking goals. For white-hat ethical search engine optimization, you must think in long term goals. SEO is an investment today for search results months from now. When defining your goals always think about your conversion value and how valuable ranking in the top 5 for a specific keyword would mean to your business. For example, you are an art supply company attempting to rank for your blog posts related to “craft ideas” this may not be a high converting keyword for you. You may be converting for an increase in traffic but not eCommerce sales. Instead, a better converting keyword may be “online craft supplies” that specifically speaks to the intent to purchase. Although the competition may be high, you must determine if the conversion value in a month or even a year is worth the investment today? Once you have decided where you stand on these two components, you can now begin to define your keyword goals for your website. Here’s a great 3 step process on creating a keyword goal list, working on SEO, and then finally reworking goals. Don’t be afraid to dream too big. If you are limited on resources then choosing keywords that have low competition and high relevancy with a good conversion value is a great place to start. Be aware that some industries it is very difficult to find keywords with low competition particularly any legal industry. DON’T EVER make your website fit around particular keywords rather make your website make sense with what you sell, and fit the keywords in naturally as you develop your content. Too often I come across websites that are structured poorly because they have been seeking volume from one keyword term. This can be an acceptable strategy if you are seeking a broad keyword such as “organic lip balm” and that’s what you sell. But, if you are going after a long term keyword such as “natural organic red lip balm” and your meta-tags are structured around these keywords, your content will tend to over-stuff keywords very fast and be tailored to miss out on the broad terms. Create a list of keyword groups you are interested in ranking in. This is done by naming one broad term for each group and listing the long-tail keywords that would fall under that group. For example, my lip balm business keyword group would start with having the broad keyword of “gluten free lip balm” with the long-tails keywords: “gluten free organic lip balm” “tinted gluten free lip balm” and more. A good rule of thumb is to create a keyword group for each category page on your website. This way you can work on ranking that specific page for the associated keyword group, and keep organized while doing it! Spring Cleaning, once you have figured out your list of keyword groups go through the lists and pick the best keywords based on their competition levels, search volume, and expected conversion values (relevancy). If I try to do this all in one day it ends up being a one path track, so I suggest taking a day to sleep on it and wake up with fresh and new ideas for your overall website strategy. Perfect. Now, think about are the broad keywords the best keywords you should be focusing on? Do you have too many long-tailed keywords in that group? Are some of them irrelevant or have a low conversion value? Once you have finalized your keyword groups, it’s time to get them monitored and tracked. What is all this organization if you aren’t going to keep track of your progress? Some SEO companies I have encountered simply work on a site and don’t track their specific rankings; rather they just see spikes in their traffic and attest it to overall optimization. While this may work for some I highly suggest you be a bit more precise with your tracking and efforts. I like to know where I am improving and what is lacking where I can focus more attention towards. It’s all a process of tracking and analyzing results, seeing x methodology is working over y methodology. Just a word of caution, SEO is a zero sum game meaning when you don’t work on your SEO and someone else is for the same keywords if someone moves up someone is moving down. Sometimes tracking can be a worrisome report. Don’t be too overly concerned that if you made a change on your website and you haven’t jumped in rankings the next week that the changes directly affected your SERP. This could be possible, but generally is not usually the case. 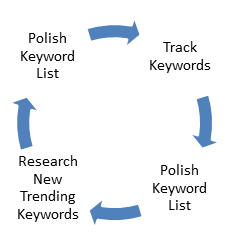 Once your keywords are being tracked, polish (clean up) your keyword lists, ensure that your search counts are still up to date and competition levels. 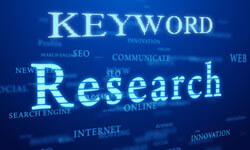 Research new trends and search patterns in relation to your general keywords. Researching new trends is important because you can be a “first mover” on the keyword trend and gain traffic while the competition is not saturated. Be careful to avoid trends that are time defined, for example optimizing for “MTV 2012 Awards” would not be good, because it is constrained by a year modifier. 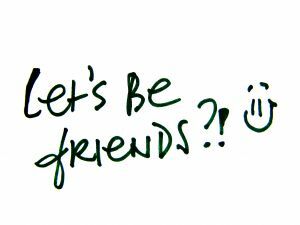 Remember you are dating SEO now, it’s no longer a quick process so tracking and polishing your strategy is important to healthy development. Can you with confidence say you can increase rankings for a particular keyword group? Can you recommend 5 constant SEO tactics for an internal page to increase rankings? Can you show me a website you have worked on and the keyword they now rank for? If your answer is no to any of the above questions, you should be questioning your on-site optimization process before you start generating a keyword group in the first place. Make sure that your process is proven, and if you have been doing optimization for a while and are unable to answer the above questions, stop now and look at your process and results. I hope that this article has helped you understand what is going on with Keyword research and why SEO companies spend so much time stressing keywords and ranking, it is the strategy behind all the madness. If you are working on your own optimization, then do the keyword organization right, be diligent and spread your strategies of success. If you have any questions please feel free to ask away! The author of this article is Alisa Carscaden an SEO specialist and SEO hoarder of information. If you enjoyed this article please follow on Twitter @custparadigm.